Dr George Lee returns to discuss the latest medical news. Expect deep insights delivered with generous humour. Dr Helena Lim joins him this week to discuss period-tracking apps and whether it makes her work as a Consultant Obstetrician and Gynaecologist easier, or more difficult. When it comes to discussions on fertilisation and reproduction, there is often an emphasis on the mother. This includes her age, which is also known as “maternal age.” This is quite understandable, because multiple studies have been conducted on women’s health and the effects it can have on the pregnancy and baby. And the bulk of the research shows that women over 35 do have a higher risk of infertility, pregnancy complications, spontaneous abortion, congenital anomalies and perinatal complications. But what about paternal age? How come it’s rarely discussed? Could the age of the father have an effect on reproduction and the health of the baby both in vitro and after birth? The answer is – Yes, it’s possible. Today, however, late fatherhood has become more commonplace. 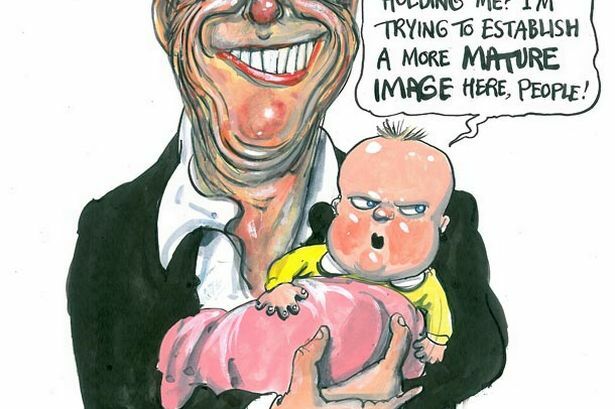 In fact, in Hollywood it has become a trend, with celebs like Steve Martin, George Lucas, Jeff Goldblum and Robert DeNiro fathering children in their 60s. And it’s not just celebs that are having children later in life. In the last decade, we’ve seen a rising number of men becoming fathers for the first time at an advanced age. This is largely due to the increase in life expectancy, the use of contraceptives, delayed marriages and so on. Arguably, there are various social advantages to having children at a later age. For example, older fathers are often more advanced in their careers and are better equipped to provide financial security to the family. But what about potential risks? Do they outweigh the advantages? Despite this rising trend of delayed fatherhood, research on the effects of paternal age on reproduction and offspring has been lacking. However, there is a growing body of literature on the topic, and they point to several risk factors that couples must be aware of and take into consideration. Firstly, studies have shown the negative effects of paternal age to sperm quality and testicular function. In addition to this, older men have an increased risk of male infertility, which can adversely impact reproductive and fertility outcomes, including the success rates of treatments like IVF/ICSI. Research also indicates that children conceived by men over the age 40 might face a higher risk of miscarriage; preterm birth; birth defects such as the bone growth disorder achondroplasia; disorders like autism, schizophrenia and bipolar disorders, as well as childhood leukemia. But why do the risks for these health conditions increase with paternal age? Researchers believe that these health conditions might be caused by age-related genetic mutations and chromosomal abnormalities, which in turn results in genetic mutations that are then inherited by the offspring. With these facts in mind, it’s essential for couples, especially those facing fertility issues, to consider the links between advanced paternal age and the potential risks to conception and the health of their offspring. But, if you’re a man in your 40s or older who is considering fatherhood, or are concerned about your reproductive health, don’t hesitate to speak to your doctor. It’s best to address your worries and find out more about the potential risks involved. 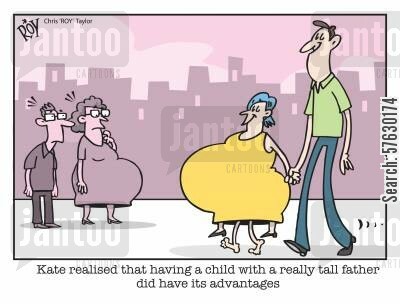 Kate realised that having a child with a really tall father did have its advantages. We all know that the excessive intake of alcohol, smoking and environmental pollutants are bad for our health, but can they negatively impact a woman’s chances of getting pregnant? The answer is a resounding (and unsurprising) yes! Here’s why – Firstly, as toxicants, they cause our bodies to produce Reactive Oxygen Species or ROS, which are highly-reactive ions and molecules that contain oxygen. ROS are a lot like free radicals, and they are both known to wreak havoc in our bodies by damaging proteins and impairing their function. 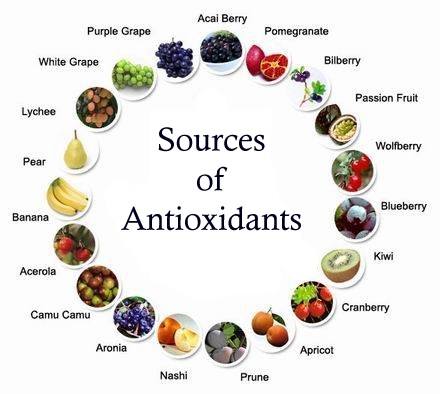 Usually, our bodies are able to neutralise the harmful effects of ROS and free radicals with antioxidants. 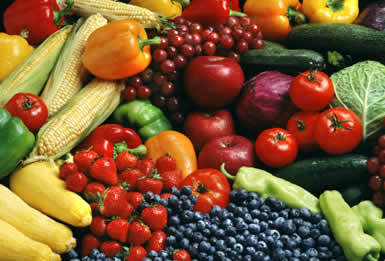 However, when an imbalance in the production of ROS and free radicals occurs, our bodies are unable to cope. As a result, our bodies undergo what’s called – oxidative stress. Oxidative stress is a physiological condition that’s linked to a variety of health issues, including neurodegenerative disorders such as Alzheimer’s disease; cancer; heart problems; blood vessel, gut and vision disorders; lung conditions; chronic fatigue syndrome; kidney, autoimmune, arthritis and inflammatory disease; diabetes; pancreatitis and more. There is also mounting evidence on the negative effects of oxidative stress on male subfertility, including decreased sperm motility and numbers. And now, findings indicate that oxidative stress can increase the risk for female infertility, as well as delaying pregnancies and lowering pregnancy rates. It can even lead to pregnancy complications like preeclampsia and even miscarriage. While the field is currently understudied and there is so much more to discover, there is no denying that it is crucial for us to gain a better understanding of how to combat oxidative stress. “If we can identify factors that can be modified to decrease oxidative stress in women, it may be an inexpensive and non-invasive treatment for infertility,” states a study called The Impact of oxidative stress on female fertility by Elizabeth H. Ruder, Terryl J. Hartman, and Marlene B. Goldmanc. But does this mean we have to play the waiting game for more research to be conducted on the subject? While it may be a few years time before scientists can identify the factors that can be modified to fight oxidative stress, there are steps you can take right now. We know that oxidation occurs when we’re exposed to toxins, chemicals and stress. Therefore, it would be highly beneficial for you to minimise your exposure to triggers that are present in your lifestyle, foods and environment. Numerous studies have also shown the benefits of a healthy and varied diet, which is supplemented with multivitamins and antioxidants. In addition, you can maintain your reproductive health by limiting caffeine and alcohol intake, quitting cigarettes, getting adequate exercise, learning ways to manage daily stress and maintaining a healthy body weight. By taking these steps and making crucial lifestyle changes, you can significantly enhance your fertility and boost your chances of conception. Not sure where to begin? Don’t hesitate to speak to a healthcare professional to get on the right track.